All of the presents are wrapped and under the tree – in fact half of them have already gone to their new owners before I remembered to take photos of them (are we noticing a forgetfulness trend here?). 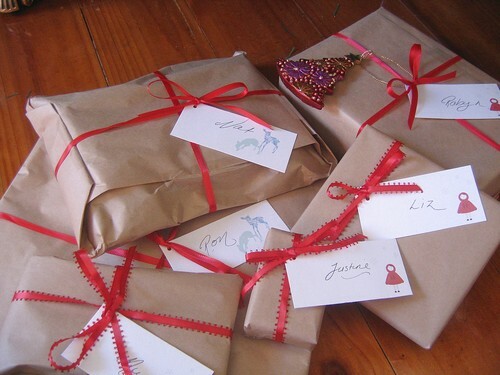 This year I decided to go for brown paper, some red ribbon and cute pdf tags. The fawns are part of a PDF stationary set bought from bluetricycle and the winter girl part of a stationary set from littlebrownpen.